Barratts biv via North branch Hapuku river. Old Barratts biv • By glennj. 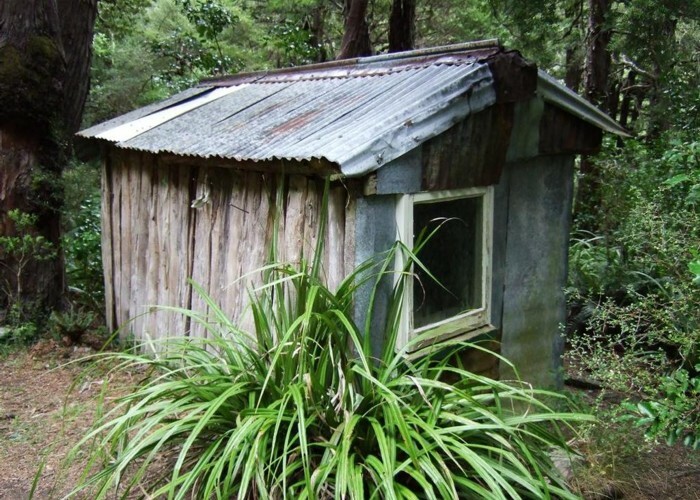 Licence: C.
21 Nov 2016 - DOC reports that Barratts Hut and Barratts Bivvy in the Kaikoura region were swept away in a large slip on the Hapuku River and are now buried. The large landslide formed a 150m-high dam on the riverbed, which has caused a lake to form. DOC says the dam is unstable and could fail at any time, which could cause flooding downstream, where it flows through the Seaward Kaikoura Range and meets the sea north of Kaikoura. Added 9 January 2011 by gareth13gareth13. 4 revisions, most recently 2 November 2017 by MatthewMatthew.